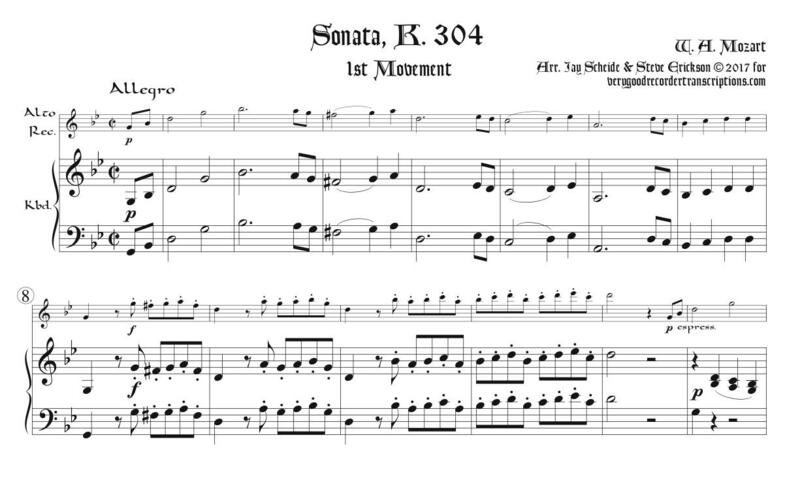 Originally for Piano with Violin accompaniment in e minor, transposed here to g. There are written-out repeats in both sections of the 1st movement, and there is a corresponding double set of measure numbers in the recorder part. There is a curious resemblance between that movement and the 2nd mvmt. of K. 60, an arrangement of which we also offer. There is also a curious similarity to the folk song “Queen of Hearts,” as sung by Joan Baez, for example. NB, the recorder part does not always follow the original violin part but sometimes is based on the right hand of the keyboard part.